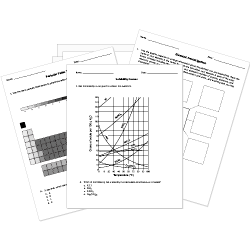 You can create printable tests and worksheets from these Grade 5 Acids and Bases questions! Select one or more questions using the checkboxes above each question. Then click the add selected questions to a test button before moving to another page. Soaps and cleaners are examples of bases , which have pH greater than 7. The best and safest way to test if a substance is an acid or a base is to taste it and see if it is bitter. Grape juices turns deep red when it's mixed with an acid , but it turns blue when it's mixed with a base . What numerical scale describes acidity? How does the scale work to describe acidity? Give 3 differences to identify an acid from a base.